This week, a EUROCONTROL Network Manager White Paper was released, entitled Systems Thinking for Safety: Ten Principles. The White Paper was a collaboration of EUROCONTROL, DFS, nine other air navigation service providers and three pilot and controller associations. The purpose is to encourage a systems thinking approach among all system stakeholders to help make sense of – and improve – system performance. The Executive Summary of the White Paper is below, with links to some of the SKYbrary sections, where you will find the content of White Paper. To understand and improve the way that organisations work, we must think in systems. 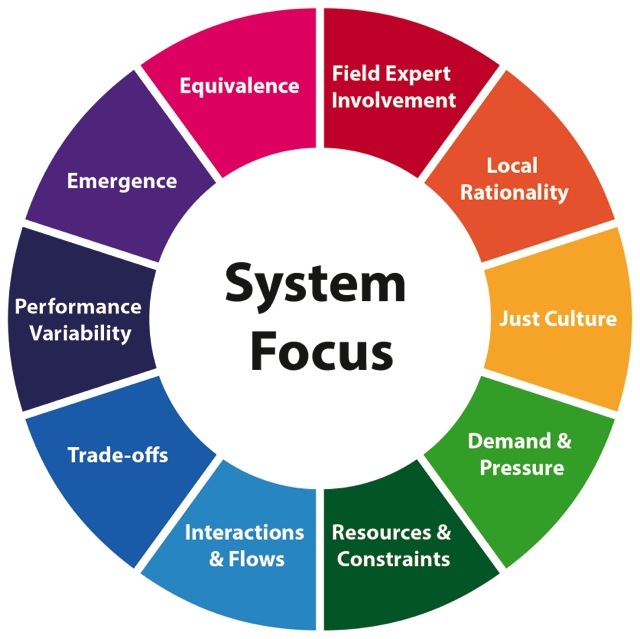 This means considering the interactions between the parts of the system (human, social, technical, information, political, economic and organisational) in light of system goals (The Foundation: System Focus). There are concepts, theories and methods to help do this, but they are often not used in practice. We therefore continue to rely on outdated ways of thinking in our attempts to understand and influence how sociotechnical systems work. This White Paper distills some useful concepts as principles to encourage a ‘systems thinking’ approach to help make sense of – and improve – system performance. It is hoped that these will give new ways of thinking about systems, work and safety, and help to translate theory into practice. For further information, see or download the White Paper on SKYbrary. This entry was posted in Safety, systems thinking and tagged command and control, safety, safety-II, systems thinking. Bookmark the permalink.